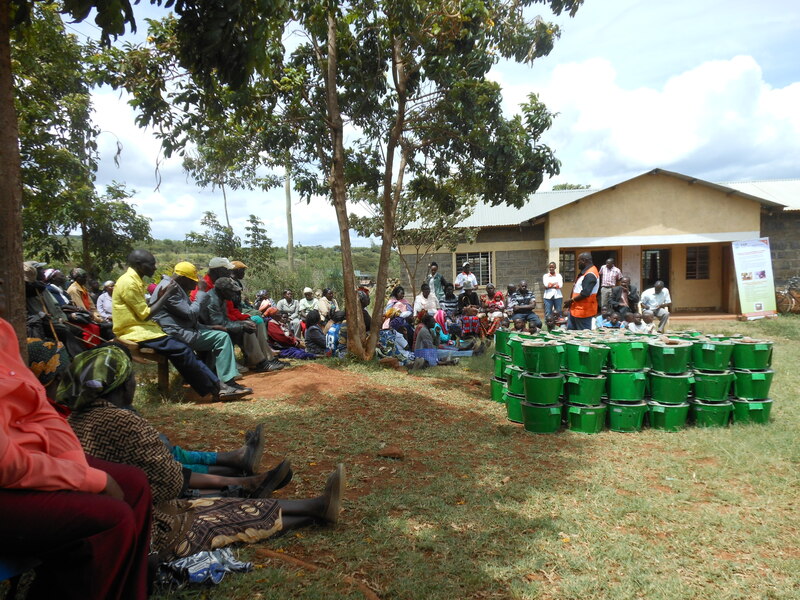 As you may well remember from previous blogs, CO2balance is currently working as a carbon consultant for World Vision to develop two clean cook stove projects in Wema and Mogotio, Kenya. Over the past 6 months World Vision has been busy engaging with the community, educating them on the benefits of improved cookstoves and collecting feedback on the project design in preparation for the stove launch. Following a number of participatory workshops, stove exhibitions and efficiency tests it was decided that the Kuna Mbhili stove made by the local Kenyan manufacturer-SCODE was the most appropriate and affordable for the communities. Another important aspect of the project that World Vision has been finalising, is the creation of a micro finance institution (MFI) and credit scheme model-the improved stoves will be sold by the MFI to established community groups also known as chamas at a highly subsidised rate. Chamas will sell the stoves to the community members, offering small loans which can be repaid over a period of six months. This innovative model will allow the groups to build their savings accounts and invest in other sustainable community initiatives. World Vision have worked closely with the chamas, providing trainings on stove benefits, monitoring procedures for the carbon component and financials. 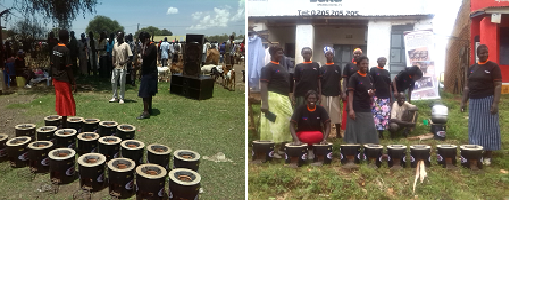 On November 20th, CO2balance were invited to attend the long awaited opening ceremony of the stove launch in Wema, during which the first 300 stoves were handed over to the community groups for onward sale. Among the particpants were a number of prominent authorities, including representatives from the ministries of environment, health and agriculture, the District Officer Heman Abdul (Below Left) and the local chiefs. Managing to attract this kind of representation at the event was a great achievement as it clearly indicates the type of support the project has from the government. Most encouraging was seeing the government officials fully endorse the project as they urged the communities to grasp the opportunity with both hands. Following a welcoming introduction by World Vision, each representative was asked to give a 10 minute talk in Kiswahili on the project, emphasising the environmental, social and economic benefits of using the stoves. Although my Kiswahili language skills are not quite up to standard, fortunately my colleague Charles Ruto was able to translate all the main points that were discussed. During the event it was CO2balances pleasure to explain in the simplest way to the communities about carbon credits and how we will be able to generate additional finance through measuring the reduction in carbon emissions which seemed to interest the community members very much. Last to present were the stove manufacturer SCODE who demonstrated the correct usage of the stove-how to load the wood fuel, what size pieces to use and how to light the stove-in order to maximise its efficiency. The afternoon culminated in a number of fun events organised by World Vision including a poem recital by the local school children and an inspiring jiko song performed by a local women’s group. At the end of the day, all the stakeholders were happy and we can therefore say with confidence that the projects could not have gotten off to a better start. Despite such a positive outcome, there is still a lot of work to be done over the coming months in order to make sure that all the stoves are sold and the project conforms to the Gold Standard requirements. 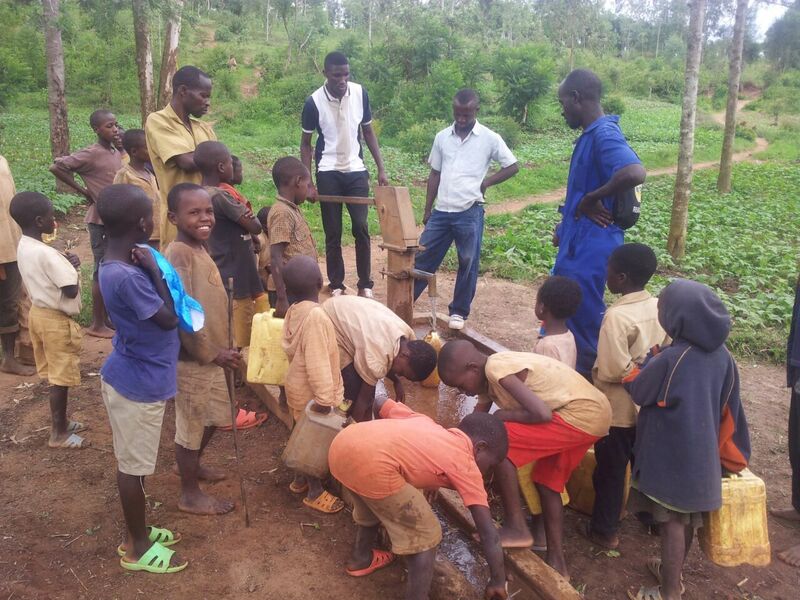 Micro-Scale Borehole Projects listed in Malawi! Great news this week, Gold Standard confirmed that two more micro scale borehole projects in Malawi have been listed. Therefore, now we have six micro-scale borehole projects in total listed in Dowa and Kasungu districts in central Malawi. 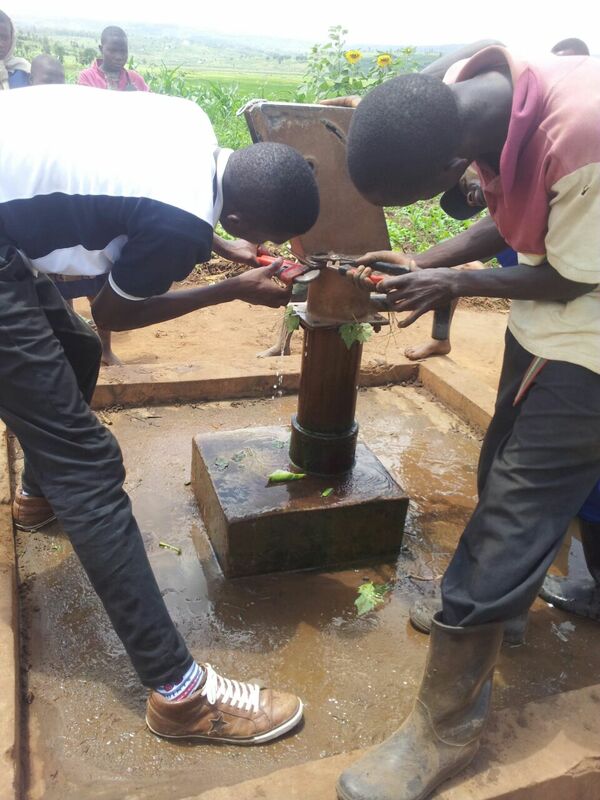 The latest two Gold Standard approved borehole projects are active in the Dowa district , with estimated emission reductions of 20,000 tonnes annually, 10,000 for each project. 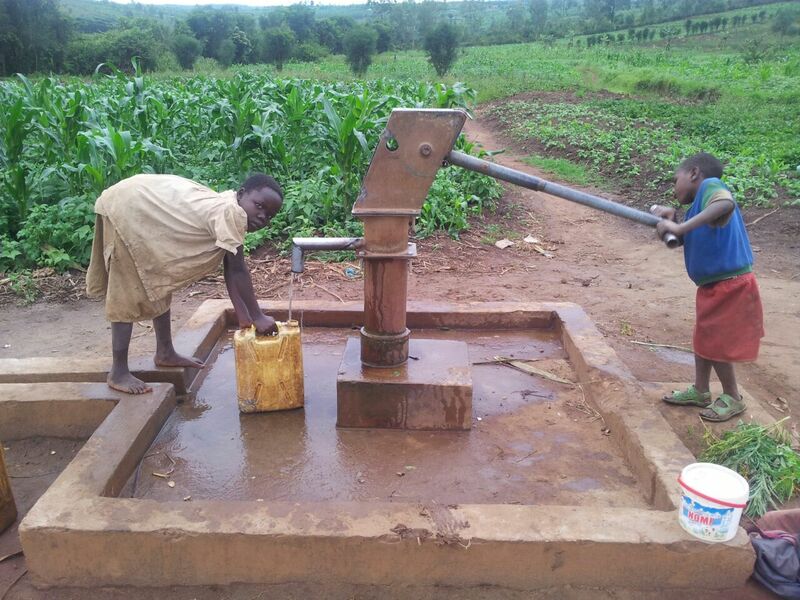 It is worth mentioning that for the purpose of our micro scale borehole projects in Malawi we have repaired more than 60 boreholes which are currently providing with clean water to approximately 6000 households, while also avoiding 60,000 tonnes of GHG emissions in total every year. Umeme women group is composed of ten members’ from the local communities in West Kisumu. The group has been in operation for over three years engaging in table banking, other community level development programs and welfare. As Carbon Zero was implementing its environmental projects in the area it noticed this group and due to high level of commitment shown by members CZK thought of working with the group to empower it more, like they always say hard work pays. So when CKZ secured funding from the Australian High Commission to does a cook stove project in the area it couldn’t think twice – the women group was brought on board. 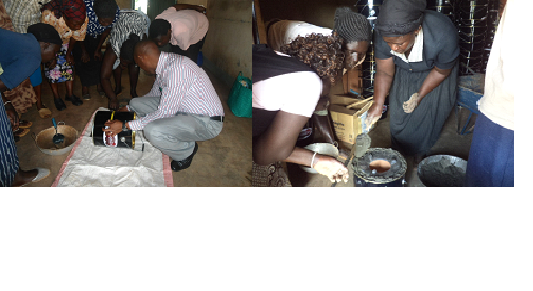 CZK stove staff trained the women on artisanal stove production and marketing a skill that was seen to be men oriented. Due to the high level of commitment among the women they acquired the skill fast enough and in a short while they began producing stoves on their own. After production of about 1000 energy efficient cook stoves CZK trained the women on marketing and simple financial management skills to run the project effectively and keep good financial records for their use. This made a big difference as the women became proactive in marketing the stoves and keeping the revenues received as a result for their livelihood and expansion of their work. Through daily marketing of the cook stoves the women have been able to understand what other cook stove artisans are doing ,their market strategies ,their weaknesses so as to have a competitive advantage over other competitors who also want a piece of the same market. Loice; is one of the members of the group and having taken time to understand her life before she joined this project she was jobless – just a house wife. Her ability to contribute savings to the group was low as she depended on her husband (who is also jobless) for everything. But after joining the group she says that she feels empowered and her life has changed to some extent. With a smile she says the little money she has received from the sales of stove she has been able to put together and started another small business cooking and selling chips; a business that she does together with her husband. The business has enabled her provide basic needs for her family. She also mentions that from the business she is able to pay fees for her school going children. Above all she says that the skills she acquired in stove production, marketing and financial management have been so helpful to her and she thanks Carbon Zero and Australian High Commission for the huge immeasurable support. She says she now able to use the skills she acquired to sustain her life. Moving forward she says that she would like to expand her business to increase her income with a goal ensuring her kids access quality education. Looking at the rest of the members in the group they are equally not left behind, all of them have started small ventures to enhance their incomes. Even as a group the women have increased their contributions and savings and have started offering loans with small interest to members to expand their individual business. In regard to the community the women say that most of their fellow women who acquired the stoves are very happy since they spend less wood and emit less smoke while cooking. In has then led to less time spent in forest looking for fuel hence women are able to engage in other activities i.e. farming, women groups activities and maintaining their homes hence making their lives better. The women also mention that their kitchens are now habitable while cooking with reduced smoke; this in a way has reduced the levels of coughing among their children. Putting all these into consideration the project has had immense impacts to the group, their families and beyond. The big news this morning is that the US and China have unveiled a “secretly negotiated deal” to reduce their greenhouse gas output, with China agreeing to cap emissions for the first time and the US committing to deep reductions by 2025. China, the biggest emitter of greenhouse gases in the world, has agreed to cap its emissions by 2030 or earlier if possible, and has also promised to increase its use of energy from zero-carbon sources to 20 per cent by 2030. The US has pledged to cut its emissions 26-28 per cent below 2005 levels by 2025. Barack Obama said the deal was an “historic agreement”. China’s premier, Xi Jinping, said the US and China had agreed to make sure a global climate deal is reached in Paris next year. Under the deal the US committed to a cut in carbon emissions of between 26% and 28% on 2005 levels by 2020. This represents an acceleration of its existing goal to reduce emissions by 17% by 2020. For comparison the European Union has already endorsed a binding 40% greenhouse gas emissions reduction target by 2030. China said it “intends” to start cutting carbon emissions in 2030 and make “best efforts” to peak emissions before 2030. It also agreed to increase the share of non-fossil fuels energy consumption to around 20% by 2030. The UN has welcomed the deal claiming it increases the chances of a meaningful global deal in Paris next year. UN secretary general Ban Ki-moon urged other countries to make ambitious climate commitments. Here at co2balance we would be of the opinion that for all the wiggle room in the language of the US-China deal, it could prove a “watershed” moment. First off in terms of climate justice, it is important to remember the concept of the cumulative emissions. If global greenhouse emissions stopped today (which is impossible), the US would have produced 30 per cent and China 7-8 per cent of carbon emissions in the atmosphere. On the basis of equity it is just that the US should make reduce emissions earlier than China. It looks as if there has been some progress on this front, which in the past has been a major stumbling block. The US and China are the world’s two biggest economies and showing that they will play their part in reducing emissions is essential to getting an international agreement at the next round of the big climate negotiations in Paris in December 2015. This US-China deal can only improve the prospects. Moreover, China’s plan starting on a path of renewable development, so that it can transition from fossil fuels as quickly as possible without damaging economic growth — lays out a model for emerging economies such as India, Brazil, and Indonesia to follow. Likewise, the U.S. is sending a message to countries, and their pro–fossil fuel governments in Russia, Canada and Australia, that they are serious about putting climate at the center of international relationships. To those of you who are cynical about international climate change negotiations (with good reason to be) it is important to remember that although this deal strikes of rhetoric, rhetoric on its own can sometimes be a good thing. Rhetoric without action is the problem. Lets hope that this rhetoric leads to action. One can only hope. With the EU, China and US announcing their mitigation commitments half of the world’s GDP is now reorienting itself towards decarbonisation. This announcement demonstrates that both the US and China understand the importance of an international agreement on climate change to securing their national interest. This provides a game changing moment for the prospects of an ambitious international climate agreement in Paris next year. 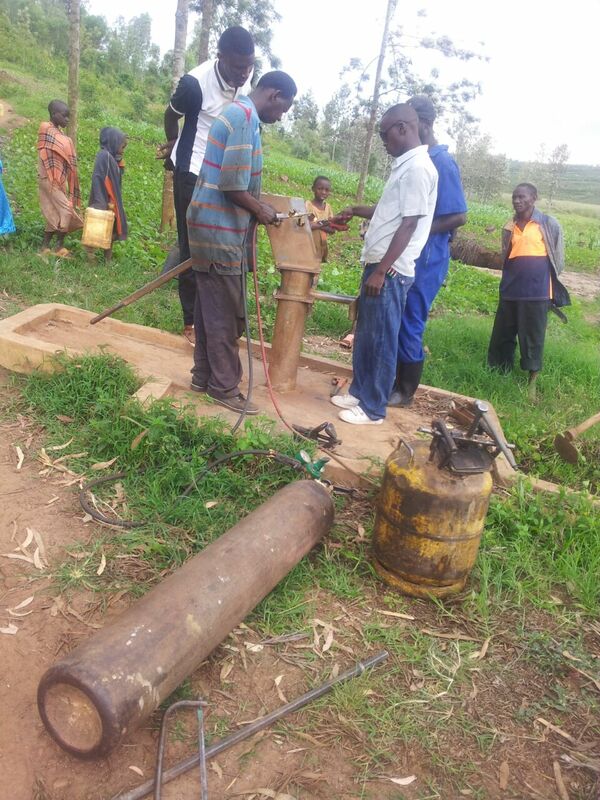 Rwandan boreholes – first photos of the rehabilitation! 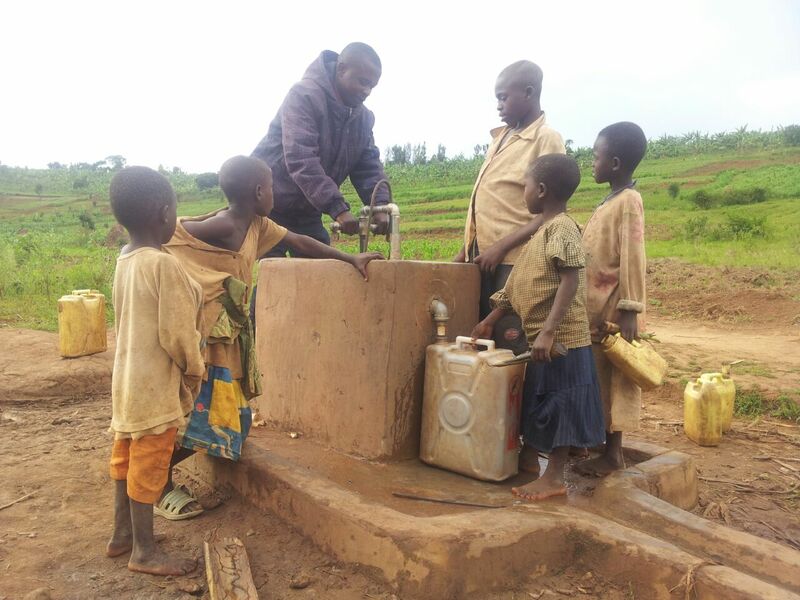 Our partner organisation, Rwandans4Water has successfully rehabilitated the first boreholes in Gatsibo district as a part of our Gold Standard Micro-Scale VPA. The work is still on-going but we are happy to be able to share the first photos on our blog! Well done Rwandans4Water!